CNN reported the other day that Homeland Security officials said that Russia tried to penetrate the US energy power grid, and left tracks to show its hackers had the ability to shut down the grid, but didn’t. That is to say that Russia literally have the ability to shut down our power grid, and by implication, our economy, and by implication, our defense infrastructure, and by implication, our way of life. But chooses not to do so. Because this is not the right time for Vladimir Putin to do so? Maybe he’s preserving his cyberweapon for a time when his adventure in global disorder will be at crossroads with our core national interests. And when that time come and if the administration in power do not kowtow to his ambitions he will then deploy his weapon and cripple us. Could that be it? Just a maybe. This is not the first time that Russia has so affronted us and got away with it. 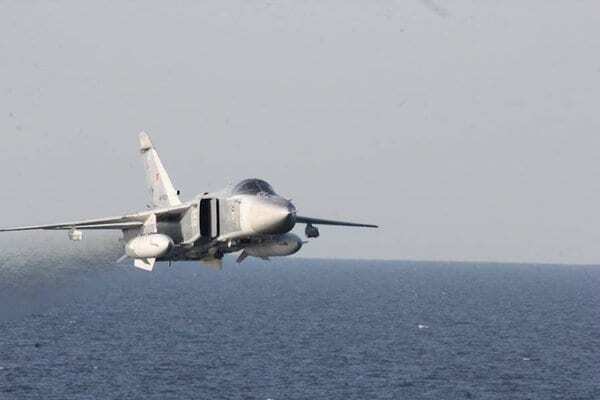 The history has existed of Russian aircrafts buzzing US spy plane in international airspace, buzzing our destroyer many times in the Black sea, and buzzing our warship in the Baltic sea. Early this year, a Russian spy ship was spotted 100 miles off the coast of North Carolina and based on historical precedents was predicted to be on a four-to-six-months deployment off the East Coast where it will be conducting intelligence operations near Cape Canaveral, King’s Bay, Norfolk and New London. Locations that are home to US naval installations. These incidents do not seem to rattle our leaders in Washington and there has been no occasion where it was shown that any of these incidents have provoked President Obama and now President Trump to communicate to Russia in unequivocal terms that these sorts of behaviors will not be tolerated and cannot be allowed to repeat themselves without serious consequences or injury to the Russian federation. It shall be the policy of this nation to regard any nuclear missile launched from Cuba against any nation in the Western Hemisphere as an attack by the Soviet Union on the United States requiring a full retaliatory response upon the Soviet Union. . . . I call upon Chairman Khrushchev to halt and eliminate this clandestine, reckless and provocative threat to world peace and to stable relations between our two nations. . . . He has an opportunity now to move the world back from the abyss of destruction. . .
Those were strong words coming from our Commander-in-Chief. And there was no doubt in the Kremlin that those words were gonna be matched with actions if need be. Eyeball to eyeball, the Russians blinked and we won the Cold War. Since the days of Barack Obama however, courage has given way to appeasement. From President Obama asking Medvedev during the 2012 Nuclear Security Summit in Korea to communicate to Putin that his tough talk on Russia were just mere talk, solely for the purpose of winning a second term, to President Trump idolizing the same Putin, one is led to wonder what hold, if any, that Putin have on the national security of the United States. Since the days of Obama. Such that whenever the occupant of the Oval Office becomes privy to that information will have no choice than to defer to Putin? Or did the election of Barack Obama usher America into the era of electing to power our own Neville Chamberlains?